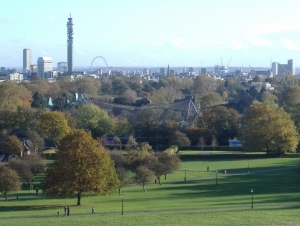 Primrose Hill is most famous for the hill which stands at 256 feet and you can find it on the North side of Regents Park. Primrose Hill is most famous for the hill which stands at 256 feet and you can find it on the North side of Regents Park. Having started business in the Primrose Hill area this is a Ladybirdz mobile beauty therapy favourite area! The houses and the area in general are beautiful. The most two most popular times for Primrose Hill is November 5th when there is a fantastic fireworks display, also new year eves which also sees the hill and surrounding area packed with people partying and enjoying the festivities. Primrose Hill has a plethora of shops including hairdressers which you will most likely have to make an appointment for, book shops, clothes shops along with perfume and cosmetic outlets. For arty people you should check out the Primrose Hill Gallery which has prints and etchings from Paris. Ladybirdz proudly offers its full treatment list within in Primrose Hill and the whole of NW1, NW3, NW8 and its surrounding areas. With a high number of its clients in Primrose Hill and the most popular treatments being pamper parties, massage, pedicures, eyebrow shaping, eyelash tinting, manicures, Bat Mitvahs and spray tanning. I will travel and come to your home or place of work so you can relax and enjoy your pamper treatment in your own surroundings, so why not call Ladybirdz now!